Very few of us are lucky enough to live near our lake, so we tend to stay in Chepstow on the Saturday night. 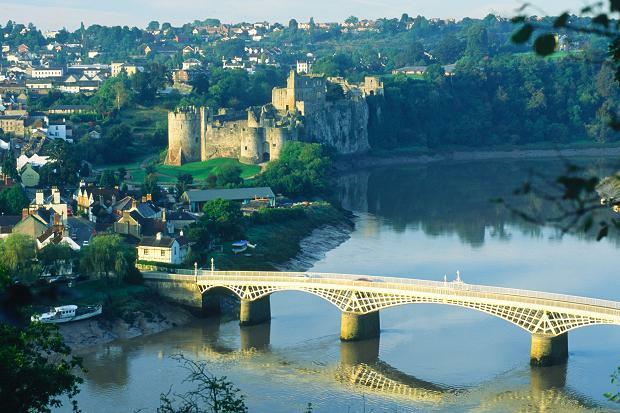 Chepstow’s a very pretty, ancient town with a cool castle and is close to the Wye Valley, Tintern Abbey and the Forest of Dean. If you are bringing non-diving friends with you, they can easily make a weekend of it. If you are looking for someone to share a room or camping cabin with, do use our Facebook page to ask around. Your options include B&Bs, camping, renting a cottage, local hotels or even the Wigwam camping cabins on site at NDAC. If you are doing a freedive course with us, we use the pool in Thornbury (Bristol side of the bridge) for some of your training, so you may want to stay near there. The Premier Inn in Alveston is very close to the pool and right next door to a pub. Search for Newport Student Village on Booking.com for rooms from around £35 per night. Basic but comfortable, with an ensuite shower room and you also have access to a kitchen. We have also had some good luck with Air B n B in Chepstow and Bristol. If you don’t mind a slightly longer commute, one of our regular divers Pete Barnes has his lovely home in Bridgend (45 mins away) on Air B n B. He may include cake! If you are part of a larger group, you could even rent a cottage. Sedbury Farm have cottages that sleep up to 7 and Wye Forest Holiday Cottages are also close by. Beeches Farm Campsite, Miss Graces Lane, Tidenham Chase, Chepstow, Gwent NP16 7LZ (01291 689 257). Beeches Farm has an amazing view but is quite remote. It’s about £7.50 a night. Do call and book. To get there: head from NDAC towards Chepstow on the A48. Turn right signposted”Tutshill” and “Wye Valley Quad Bike Centre” (campsite is very near the Quad Centre). At 1st roundabout by the pub, turn right. Keep going for about 2 1/2 miles until you see a brown sign pointing left for the Wye Valley Quad Centre, it points to a road with a red post box at the end of it marked Dead End and “Miss Graces Lane”. Take that road and keep going forever, just straight on. It turns from road to gravel track, cement track, back to gravel and eventually arrives at the campsite – in total about 3 1/2 miles from the A48. Enjoy it but don’t try it in too posh a car! Thorncroft – next to the Blacksmiths Arms in Alverton, Nr Lydney on the A48 north of Chepstow. From £30 for a single, little bit more for two people. Clean, and right by a pub that does good food. About 5 minutes from the lake. Tel 01594 528105. Jill also has a small cottage that 4 people can rent together for the weekend. Parkfield7 B & B is only about 5 minutes from the lake, reasonable rates, twins, double and family rooms are available and breakfast is good. 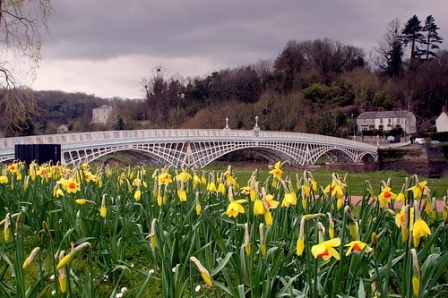 Racecourse Guest House – high end, very comfy guest house near the Race Course in Chepstow. More like a hotel than a B and B. From £65 per night for a double room including breakfast. The First Hurdle, 9-10 Upper Church St, Chepstow. Tel: 01291 622189. Around £75 for a double. Right in town, recently refurbished and does a good breakfast. Castle View Hotel – 13 rooms en-suite 01291 620349. Nice hotel in the middle of Chepstow with good food. About £50 a night for a room but you can share. Ask for a “family room” and fit 3 people in! Millingbrook Lodge – Carole and Ian run this small hotel in Aylburton. Ensuite rooms, c 10 minutes from Chepstow. Next to a nice pub. Some 4 poster beds! From £65 for a double, bit less if you’re on your own. The Two Rivers, a Marston’s hotel in Chepstow that offers rooms similar to those in a Premier Inn, has a pretty good restaurant on site and is slightly more comfy than most of the B and Bs has doubles from around £70. New, clean, predictable!